Landscape fabric, also known as “weed mat”, has its roots in commercial agriculture, where it has been used to reduce weeding in crop fields. Nothing is put over the top of the weed mat and it is replaced every time new crops go in. In this case, the weed mat essentially acts as a mulch. Although this is not the most environmentally friendly way of growing food, it is effective for controlling weeds. The problems with weed mat become apparent when it’s used for landscaping. In this case, it’s typically installed underneath a layer of bark or rock and left there for many years. At first glance, it seems like it would be an excellent way to reduce maintenance – just place a barrier over the ground and weeds won’t be able to sprout, right? Unfortunately, it’s not that simple. Not only is weed mat ineffective in landscaping, it will end up causing extra work and it is actually harmful for the health of your yard and the health of our environment as a whole. Weed mat is advertised as an easy and long term way to prevent weeds from coming up. It’s made to seem like you can simply lay down the weed mat and forget about having to pull weeds ever again. Unfortunately, this is far from the truth. Weed mat will work only for a short amount of time, until enough dust and dirt has accumulated and enough of your ground cover has broken down over the weed mat. At this point, weeds will start to germinate above the weed mat. What’s worse is that their roots will grow into the fabric, making them even harder to remove. As time goes on, this issue will get even worse. You basically have the perfect breeding ground for weed seeds. Any pores that were originally on the weed fabric have long been plugged up by dirt so you have a water barrier on the bottom, your ground cover on top, and a layer of dirt in the center. This means the weed seeds can accumulate above the weed mat and have a nice, moist environment in which to germinate. I’ve seen this far too many times in landscapes I’ve visited. You’ve probably seen it too – broken up bits of black plastic, exposed fabric poking up above the mulch, or weed mat jutting up around the base of plants. Ever gone outside to do some yard work and ended up trying to clean up hundreds of tiny shreds of weed mat? We’ve already shown how weed mat will lead to more weeds, which is bad enough, but the other part of the headache is the clean-up. Weed mat starts to break down over time and disintegrate into tiny pieces, making it a pain to remove. As long as it’s hidden under your ground cover, at least it isn’t unsightly. What will happen though, is it will become exposed over time. Plants and trees will pull it up, mulch will thin out or get moved, and moles and gophers will push it up. After a while, you will have pieces of it peeking through here and there, which can be seen as tacky and visually unappealing. That’s strike 2 for weed mat – you’ll have more weeds and it will look bad over time. Let’s move on to perhaps the most important reason why weed mat should not be used in landscaping. Landscape fabric is typically manufactured to be permeable. It has small pores in it or it’s a woven fabric. That’s all well and good as long as it stays clean, but it’s not going to be clean for long. You’re literally laying it on the ground, where those pores are quickly going to be clogged up by dirt as it accumulates on the fabric. Very soon, you’ll have an impermeable barrier covering the soil. This destroys your soil. The soil is physically separated from any organic matter or nutrients that would normally break down into the ground and increase the amount of microorganisms and benefit the structure of the soil. Any mulch or compost that is placed over the top needs to actually contact the soil in order for decomposition to take place correctly. This lack of decomposition and continued feeding of the soil food web causes the overall health of the soil to decline. This means your soil gets more compacted, loses nutrients, doesn’t absorb and hold water very well, and your plants suffer as a result. Another problem with having an impermeable layer above the soil, is that rainwater will quickly shed off the landscape. Ideally, we want to do just the opposite – keep as much rainwater in the landscape as possible. Keeping rainwater in the landscape gives your plants extra water during the rainy season, increases soil health, filters pollutants, and recharges our underground aquifers. By allowing the water to shed off the landscaped area, it can either flow into somewhere you don’t want water to go, such as a foundation or retaining wall, or it will flow off into a storm drain, carrying pollutants into our waterways and oceans, while increasing the demand for potable water in the landscaped area. Luckily, there are several great ways to reduce the amount of weeds in your landscape. The best and most important method is to use a thick layer of organic mulch. Cover the ground in at least 3 inches of wood chips or bark mulch. Mulch does an excellent job of suppressing weeds. Not only that, it also breaks down into the soil, which increases soil health, benefits your plants, and saves water. Lawns that have just been removed or landscapes that were previously covered in lots of weeds may benefit from a little extra protection. In cases like this we like to use a biodegradable paper barrier such as painter’s paper or corrugated paper. 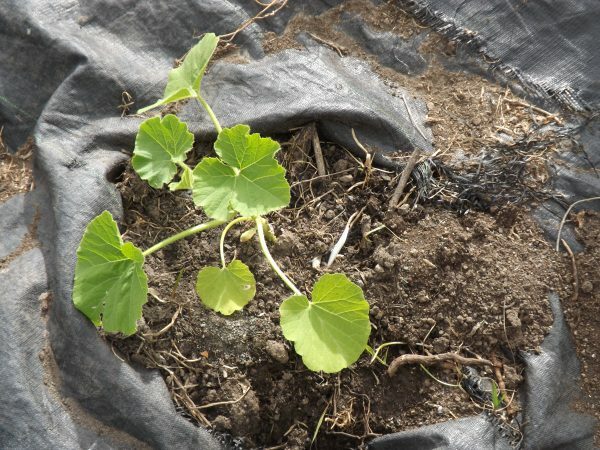 The biodegradable barrier helps to initially suppress weeds while the landscape is being established, but it breaks down into the soil over several months, therefore avoiding all the problems with landscape fabric. Another great way to keep weeds down is to plant heavily. Dense plantings do a fantastic job of choking out weeds. This is a good long term solution because as the landscape matures and the plants get larger, there will be less and less room for weeds to grow. It’s important to keep in mind that there will always be some amount of weeds in any landscape. The trick is to stay on top of it. If you keep weed growth under control and pull them before they go to seed, you’ll have fewer weeds to deal with over time. Lastly, avoid the use of toxic substances such as round up for weed management. Instead, pull them by hand, with a hoe, or spray them using a mixture of vinegar and dish soap. 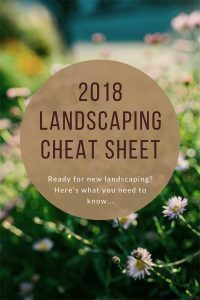 Although landscape fabric may seem like an easy way to keep weeds at bay, it’s quite detrimental to landscapes and the environment as a whole. If you would like more information about weed mat or want to learn more about our alternative techniques for weed control, feel free to contact us.